“Folklores reveal a great concern for the environment where indigenous people would worship and seek permission before cutting a tree. But modern English education has changed everything. Colonial encounter made us aware of the classification of time as past, present and future and introduced “history” through which they have pointed out our differences and blind beliefs. The British introduced English education in India and the British rule has ensured that Indians still continue to be slaves of English”. 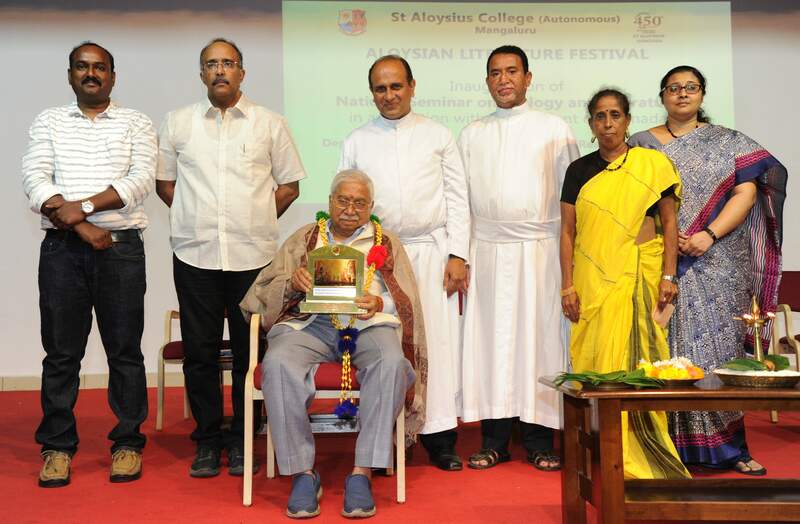 This was part of the inaugural address of Jnanpith awardee winner, Prof Chandrashekara Kambara at the two-day “National Seminar on Ecology and Literature” organised as a part of the Aloysian Literature Festival held at St Aloysius College (Autonomous) hosted by the Department of Postgraduate Studies and Research in English. Rev Dr Praveen Martis SJ in his message, emphasized on the significance of Prof Kambara’s works and the values embedded in them in the present age of pluralism for celebrating diversity. Rev Fr DinoysiusVaz SJ in his presidential address stressed on the importance on following nature where there is no restlessness. We must learn to “give and take” in order to ensure a harmonious life. Convener of Aloysian Literature Festival Mr Girish N rendered the Vote of Thanks, while DrSaraswathi welcomed the gathering. Ms Catherine Shilpa compered the programme. Dr Melisa Goveas, Head, Department of Postgraduate Studies and Research in English was present on the dais. 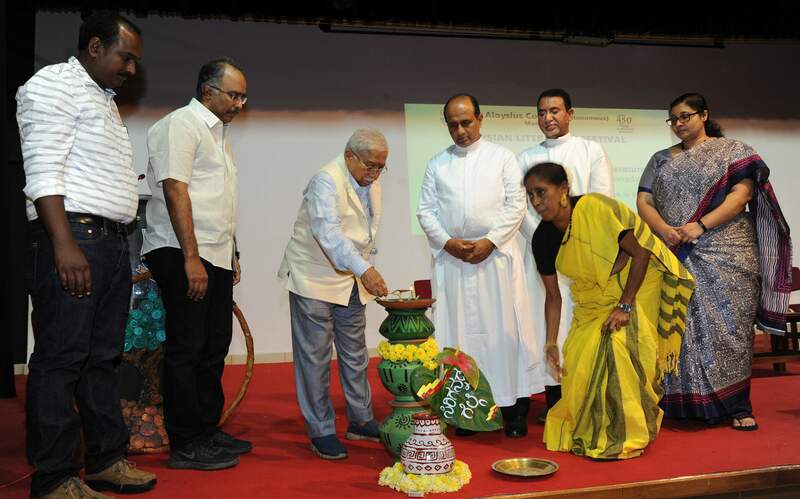 On the occasion Prof Kambara released the play “Amrutha Ghalige” written by DrSaraswathi of the Kannada Department on the Life of St Ignatius of Loyola.